Two years ago, in my capacity as a research director at CSO Insights, I was asked to start an evaluation of artificial intelligence-enabled solutions that claimed to increase sales team efficiency and effectiveness. I must admit, I agreed to do so with a healthy degree of skepticism. Having been part of two AI development projects in the ’80s, I carried the wounds of unachieved AI expectations. But as I started talking to development teams, and more importantly to sales organizations that were implementing these new CRM solutions, insights into how AI could fundamentally change sales began to emerge. Fast-forward to today. I have now looked at more than 160 AI for sales solutions, with another couple dozen on my to-review list. Some of the skepticism is still there, but along with it is the realization that aspects of AI for sales are ready for prime time now. Looking out over the next three to five years, AI is positioned to transform the world of sales in ways we never expected, helping to optimize how sales departments identify, engage, and collaborate/co-create with customers. That said, there will be obstacles along the way. But companies need to start down that path now or face being at a significant disadvantage to competitors who move ahead of them. So let me provide four observations into the state of the marketplace today and going forward. 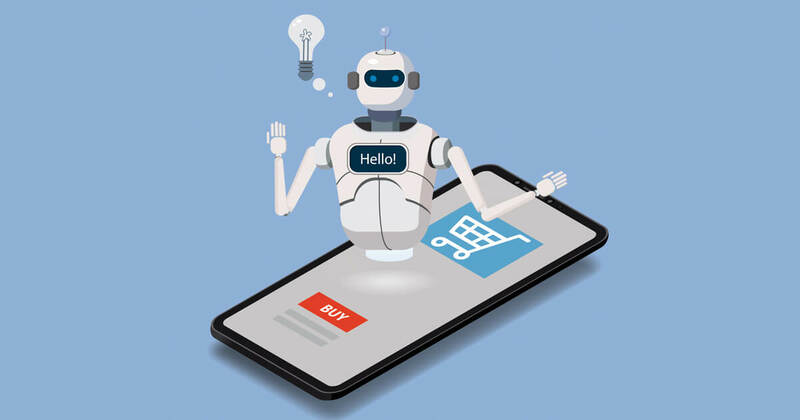 AI for sales is many things versus a single thing.Ultimately, what sales organizations need is an AI-enabled solution set that augments all aspects of customer life cycle management. That doesn’t currently exist. Looking at the AI applications reviewed so far, we found pieces of the ultimate solution that addressed problems in 13 aspects of selling, such as lead generation, forecast management, sales training, sales management support, prospect engagement, and so on. While AI today will not help you do everything in sales better, it can definitely help you do some things an order of magnitude better, and that is why it deserves your attention now. AI for sales needs a solid foundation on which to build.AI in its present form can solve many problems, but not the one that represents IT’s long-standing challenge, GIGO—garbage in, garbage out. Applying AI to flawed processes or low-quality data will severely handicap the results you’ll be able to achieve. So working to stabilize both of those areas needs to happen before you implement AI. The AI for sales marketplace will be contracting and expanding for several years.Technology industry watchers will appreciate the fact that, through acquisition and attrition, the number of existing AI for sales providers will decrease noticeably over the next few years. What is different this time around, though, is the ever-expanding universe of data to which AI will have access. Allowing AI systems to analyze more structured and unstructured data sources will also create a whole new class of AI for sales solutions targeting specific vertical industries, geographies, targeted challenges, etc. So the overall net number of players might actually increase over the coming years. AI is poised to prove Bill Gates wrong.One of Gates’s maxims on technology innovations is this: “We always overestimate the change that will occur in the next two years and underestimate the change that will occur in the next 10.” While I believe the two-year figure holds true, the 10-year period could easily be cut in half, because machine learning will contribute to AI getting better on its own. That accelerated rate of improvement is yet another contributing factor that ensures AI will become more and more valuable to sales organizations. The essence of what I have learned to date is that it is no longer a question of whether AI will change the whole profession of selling, but rather a question of how soon. Starting to explore the AI for sales marketplace is something that needs to happen right now for all levels of sales professionals. Jim Dickie, a cofounder of CSO Insights, is currently a research fellow for Sales Mastery, a research firm that specializes in benchmarking case study examples of how companies are leveraging technology to transform sales. He can be reached at jim@salesmastery.com or at @jimdickie.